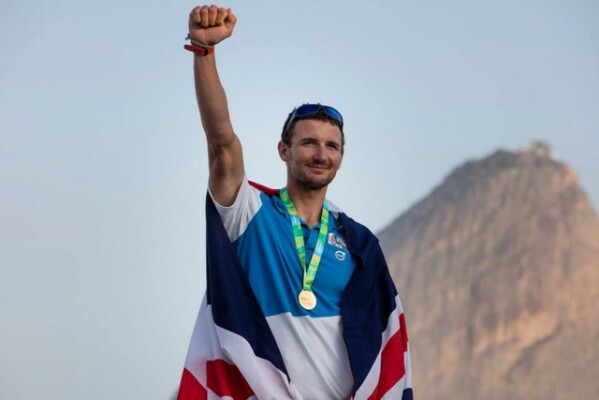 You are here:Home » Category: "Boat Club"
Yachting Boating World: The Royal Welsh Yacht Club will offer guided tours to the public throughout September as part of the government Open Doors programme. Established in Caernarfon, the Royal Welsh Yacht Club is the oldest in Wales. Throughout September it will open its doors to the public with a series of talks and guided tours about its history and famous past members. The RWYC was established in 1847 in Caernarfon under the patronage of the Dowager Queen Adelaide, the widow of King William IV. 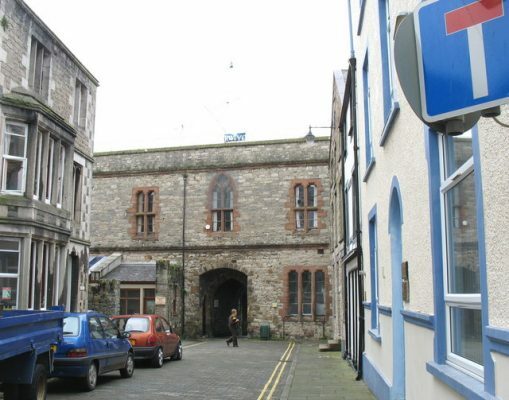 Its headquarters are situated in Porth-Yr-Aur (the Golden Gate), built around 1284 as the historic West Gate, or Watergate, of the walled Royal Town of Caernarfon. The Royal Patronage was carried on by Albert Edward, Prince of Wales when he was only 18 years old, and confirmed by him when he acceded to the throne as King Edward VII. His Royal Highness Prince Philip, Duke of Edinburgh, is the Royal Welsh Yacht Club current patron. The event is organised by Cadw and is part of the Welsh Government’s Open Doors programme. More than 300 Welsh buildings will open their doors to the public and offer free visits during the month of September. Talking of the Open Doors event, Commodore Barrington Powell said: “This is a truly remarkable club with a fascinating history and we are delighted to be sharing our story and giving visitors a rare glimpse of our yacht club, as part of this year’s Open Doors. “We currently have over 250 members which shows that the Club is an important part of the local community. We are very thankful to Cadw for supplying us with a grant to renovate the club so it continues to thrive and bring in new members. “Wales boasts a unique blend of historic sites, from fairy-tale castles to local miners’ institutes, all of which demonstrate our rich and diverse heritage. “Through free access, unique events and special guided tours, there is plenty to encourage people to embark on adventures of their own this September.” . 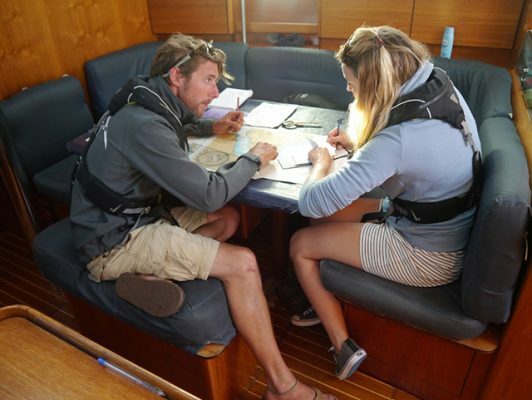 Practical Boat Owner: One of the key announcements at the recent Royal Yachting Association (RYA) Yachtmaster Instructors’ Conference was that, from 2017, there will be a single RYA Day Skipper Practical certificate. The distinction between Tidal and Non-Tidal Practical courses will end. This brings the RYA in line with other international sailing schemes who do not differentiate between the certificates obtained when you learn to sail in different areas of the world. Richard Falk, the RYA’s director of training and qualifications said: ‘In simple terms the current arrangement is that if you undertake an RYA Day Skipper or Coastal Skipper course in waters designated as being tidal then you a) learn about tides (both in theory and in practice) and b) receive a certificate that indicates you have undertaken the training in tidal conditions. 1) Differentiating between what is tidal and what is non – tidal is not a simple black and white question. Trying to categorise waters across the entire world where tidal ranges vary from 17 metres down to .1 of a metre with every point along that tidal continuum being covered is simply not feasible. What constitutes a tidal region? Even our own training centres cannot agree on this with some suggesting that anything less than a 4 metre tidal range does not count and others suggesting 1 metre is perfectly adequate. 2) The pattern of boating has changed. 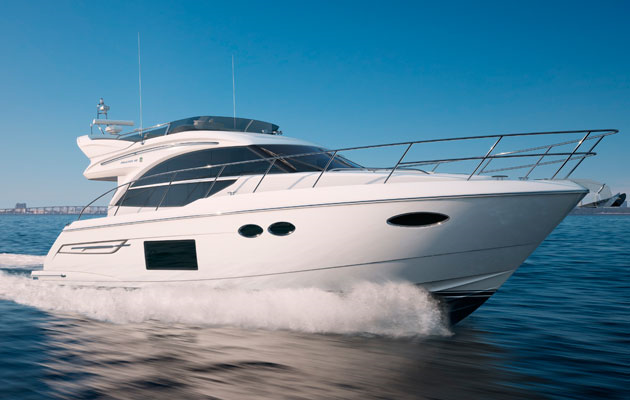 Many people now choose to undertake a course in one region but then go on to charter or cruise in a wide range of regions around the world – some of those are tidal and some are not. Therefore, it seems to make sense that everyone who undertakes one of the two courses outlined above should get at least an understanding of the theory of tide, and where possible also gain some experience in tide from a practical viewpoint. Under the new arrangements EVERY person undertaking either a Day Skipper or Coastal Skipper course will come away with at least a theoretical understanding of tide – ensuring they are better prepared for boating in a wider range of locations than is currently the case. 3) Customer feedback is that the current system of parallel schemes is confusing and irrelevant. Whilst some RYA schools feel strongly about this issue the feedback from customers is that they find the need for two schemes and such labelling as confusing and unnecessary. Under the new arrangements the situation will be clearer to the customer whilst ensuring that more people than ever before will have at least a basic understanding of tides. Richard added: ‘We have about 600 RYA schools to which this tidal / non – tidal designation applies. Of these we have had strong concerns voiced by about 10 schools, all of which are Solent based. ‘Sadly some of these have resorted to misinformation and misinterpretation in order to try and garner support for a reversal of this decision. The matter has been discussed over the last three years at YMI conferences and with a large number of schools both in the UK and overseas, not to mention with students and charter companies. ‘The overall sentiment is that this is a very positive initiative and one that is long overdue. 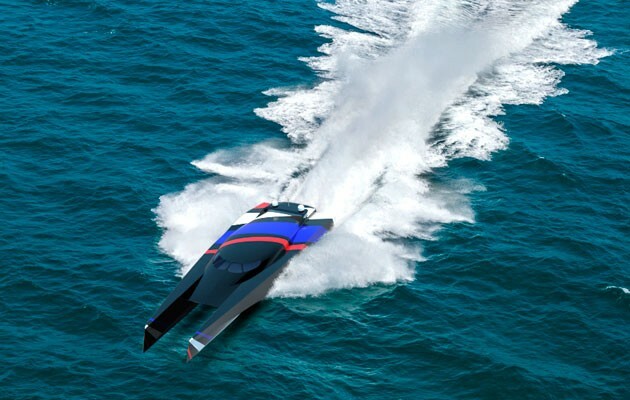 Motorboat & Yachting: Could this powercat design be the key to bringing the Blue Riband trophy back to the UK? Ray Bulman reports on a new Atlantic speed record bid. The crossing is to be made by a 112ft (34.2m) wave piecing catamaran TGB34 designed by Andrew SN Lea and George Robson. 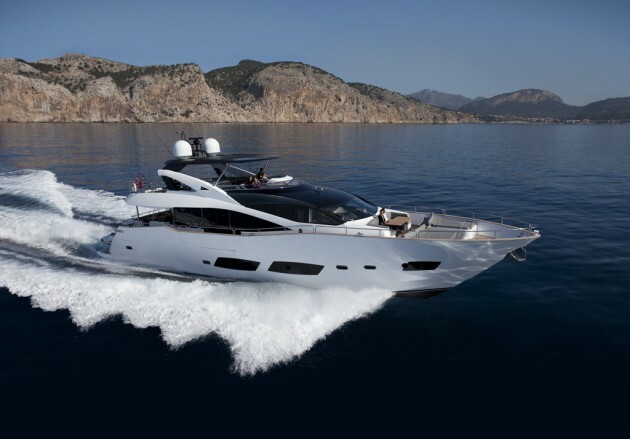 Yachting Boating World: Three hundred years old! That’s a lot of candles to blow out. 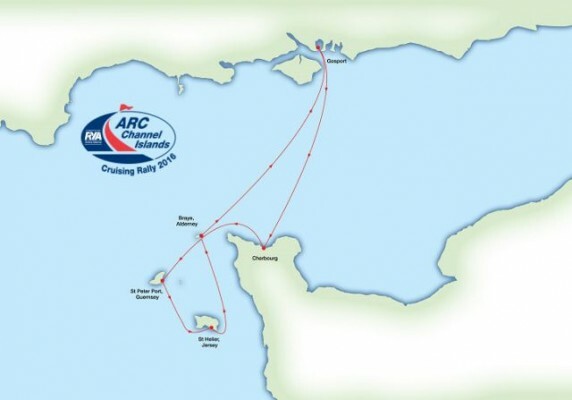 The Royal Artillery Yacht Club is launching the first regimental ocean-crossing expedition in decades. Sounds like quite the jaunt. However, the expedition will provide deep water experience and adventurous training to 150 regular and reserve soldiers, improving the army’s offshore sailing capability and fostering ésprit de corps. The St Barbara, the regiment’s flagship vessel, will launch from Gosport this month and return in August 2016, the year the regiment celebrates its 300th anniversary. Better start blowing up the birthday balloons now. Motorboat & Yachting: The UK’s biggest marina has a new arrival, after the brand new Brighton Marina Yacht Club was delivered this week. The ongoing development of Brighton Marina has seen a new yacht club delivered to the 127-acre site. 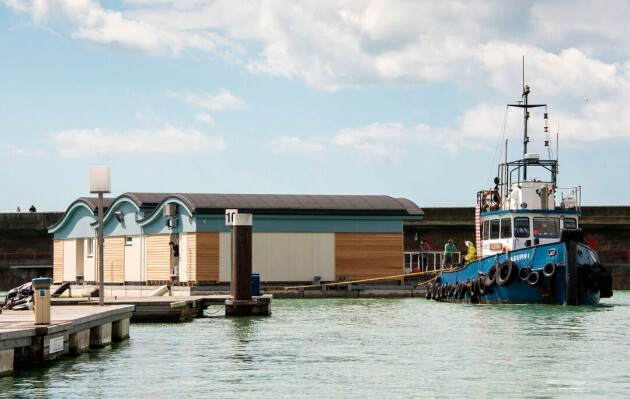 Delivered yesterday (July 30), the new Brighton Marina Yacht Club building will be opened to the public in September, offering Club Class training for people of all ages. 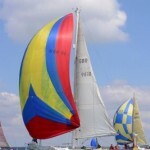 As well as sailing, the club has divisions for diving and motor cruising, and has been hailed by the Royal Yachting Association as a model yacht club. It’s new base is one of the largest floating buildings in the UK, with a footprint of 3,500 square feet. The new yacht club was delivered as part of a £250m redevelopment of the marina by Brunswick Developments, which has owned the site since the mid 1990s. Works on the western end of the marina were held up for several years by planning disputes, financial issues and local protests, but finally got underway last year. Peter Green, who is directing the current works at the marina for Brunswick Developments said: “The new Yacht Club shows how large developments such as ours can have community benefits. Further developments planned for Brighton Marina include a new RNLI station, additional restaurants and a planned pedestrian swingbridge that would allow access to the harbour wall. 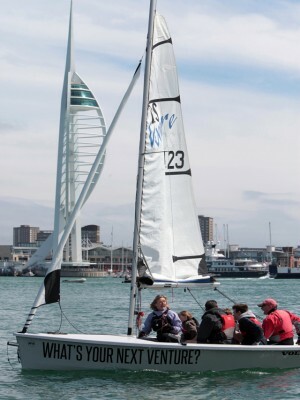 Practical Boat Owner: Sailing charities come together to provide an inspirational sailing project in Portsmouth.